We are successfully meeting the requirements of our clients by offering the best quality range of Face Recognition Device. 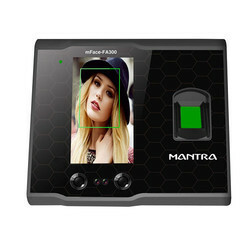 We are the leading supplier of Face Recognition System. 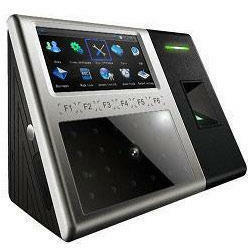 This system is manufactured uniquely as it uses technology which marks the attendance by recognizing the face of an employee. The offered face recognition machine is robustly designed by our reliable vendors in compliance with international quality standards. As an illustrious corporation of the industry, we are eagerly immersed in presenting a broad gamut of Face Biometric System to our patrons. User Capacity: 500 Faces + 3,000 Finger-Prints + 10,000 Cards. • Integrates with door lock system easily. Next Info Solutions Pvt. Ltd.